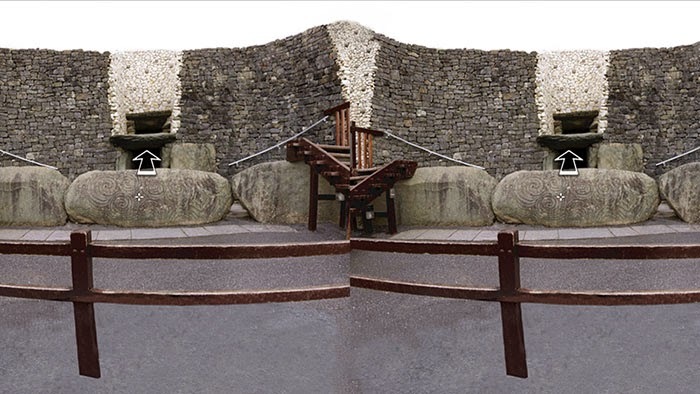 This VR Tour of Newgrange is Awesome! I was supposed to be getting work done today! I had intended to pick the boys up from school, help with their homework, do a bit of housework, flit about on Facebook and Twitter … maybe even read a bit of an archaeology book … nothing too crazy. Instead I’ve spent much of the afternoon standing in one spot and breathlessly saying ‘awesome’. In fairness, I’ve not been alone – the Chapples Minor have also been standing about alternating between ‘awesome’, ‘cool’ and ‘wow’ … but the emphasis is clearly on the ‘Aaaaaaaaawesome’. I consider myself fortunate to be among the number of correspondents that the wonderful Howard Goldbaum (he of Voices from the Dawn [Facebook | Web] and All Around Nevada [Web]) uses to Beta test some of his project on. They’re invariably wonderful and seem to require little input for me, but at least I get to see so much of his work before it goes public. About a week or so ago I received an email from Howard about a new post: Experience Newgrange through a Head-Mounted Display. For those of you not familiar with his Voices from the Dawn project, Howard provides a beautifully written piece on his chosen monument, putting it into its archaeological, historical, landscape and folkloric contexts and tops the lot off with a superb Virtual Reality tour. His original post on Newgrange is here. What he has now done is taken that VR Tour of the site and reformatted it so that it utilises the motion sensors within your smartphone and (with the aid of a simple headset) turned it into a completely immersive experience. I got the opportunity to try out this type of headset when the Game of Thrones exhibition came to Belfast in June 2014. For fans of the show, it was a really thrilling experience to feel like you were really being hoisted to the top of The Wall – a 700ft defensive work made of solid ice. I genuinely had to keep reminding myself that I was actually safe on the ground in Belfast and not – as my mind was forcefully telling me – about to come to a sticky end in a mythical kingdom. I loved it! I adored it! … and was terribly sorry that there was little chance that I’d see anything like this in my home (and at a reasonable price) in the near future. I was wrong! The name Google Cardboard doesn’t really have the same cachet as Google Glass or any one of the weird and wonderful startups that Google has invested in … but it should! It’s a really simple idea … a fold-out cardboard mount that allows you to turn your smartphone into a VR Headset. You can buy a version that requires some amount of assembly, or download a template for the DIY enthusiast. What’s not to like? For about the same price of the cardboard version from Google, I found a suitably Sci-Fi set ready made to fit my phone here (Universal VR Virtual Reality 3D Video Glasses For 4~6 inch Smartphones). The version I bought has some terribly translated instructions that tell me that ‘The phone pixel is more higher, the effect of viewing is more better’. In fairness, you don’t need much in the way of instruction to pop your phone in & away you go. In your hand the phone just shows two side-by-side images of the site … but once in the headset, and viewed through the lenses, you’ll find yourself standing outside the famous façade of Newgrange … look one way and you’re taking in the panorama of the Boyne Valley before you, but turn your head and you’re looking at the massive stone circle, and then at the entrance to the tomb itself. Simply move the plus sign ‘+’ in the centre of the screen to the middle of the large arrow that’s hanging about in space and you’ll be transported inside … first to a place along the passage .. and then to the very centre of the tomb itself … moving about, you can peer towards the chambers and the impressive basin stones, eventually raising your head to look up to that most famous of corbelled roofs – older than Stonehenge … older than the pyramids at Giza … and let the ‘Wow’s’ commence! Or … you can look up to the ceiling first and then to the side chambers … it’s all up to you! I’ve been inside Newgrange on a number of occasions and it’s always special. This may not be the real thing, but it’s pretty close! It does give you the feeling of being able to experience the monument in a personal and private way (not always an option at the real thing) and if it convinces even one person to come see Newgrange for themselves, it’s a very good thing indeed! Since the post came, the Chapples Minor and I have been experimenting with various 3D VR apps … the Cosmic Roller Coaster is pretty amazing (high ‘Awesome’ count from all), but the Tuscan Villa just didn’t cut it for me. As far as I’m aware, Howard has produced the world’s first archaeology example (or, Irish one at the very least). I would use this public place to make a very personal plea to him here: Howard … PLEASE make more of these! This is absolutely awesome & I want to see more! But right now, I’m afraid you’ll have to excuse me … you see, I’m off to enjoy the rather talented Jack White on stage! He has also produced this rather fine tour of the American Flat Mill in Nevada here and a regular VR tour & background here. If you’d like to experience Howard's Newgrange for yourself & you’d like to buy a headset, please consider going via one of the links below – I make (literally) a few pence per transaction & it costs you nothing! Some years ago I spotted a lovely image on one of my trawls through the internet. While I do enjoy a breathtaking landscape or a beautifully captured scene - preferably with archaeology involved - this was something special. 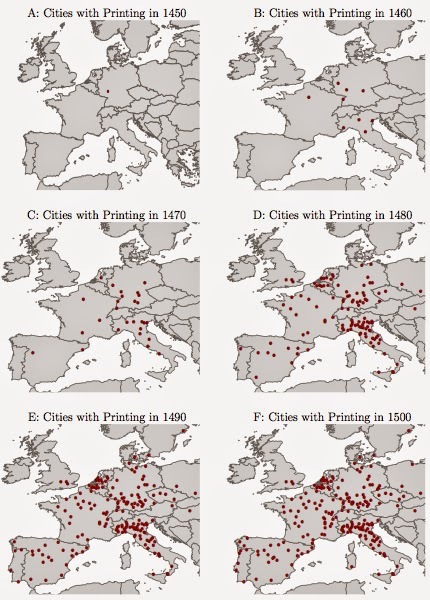 It was a simple set of six maps of Europe showing the 'Cities with Printing' at decade intervals from 1450 to 1500. It clearly showed an explosion from the single dot representing Johannes Gutenberg and his Bible in Mainz around 1452 to incorporate cities across the continent, from Portugal to Poland and from the toe of Italy to southern England by the turn of the sixteenth-century. 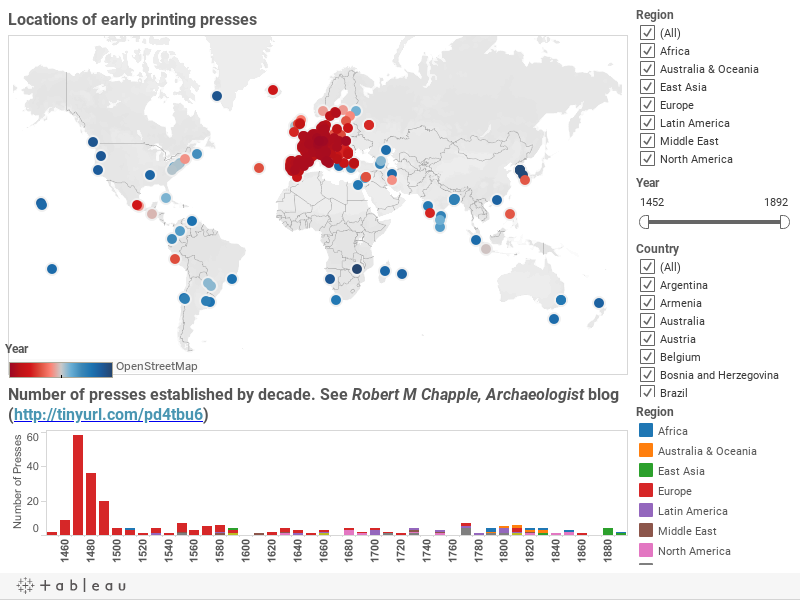 A bit of searching led me to Nicholas Carr's Rough Type blog, and thence to Jeremiah Dittmar's 2011 paper Information Technology and Economic Change: The Impact of the Printing Press. It's well worth a read as he manages to quantify the rate and magnitude of city growth where early printing presses were established over those who were left behind in the advancing technological wave. Although it's an excellent paper, my fascination with his block of six maps lingered longer. I thought it might be interesting to combine them as an animated GIF or seek some other means of visualising the data. As you can see below, my quick experiment using a free online GIF maker was fun, but not without flaws. There had to be a better, more interesting way to approach this. After this, I largely forgot about the problem. I mentally filed it away for later thought and action, but as is the way of such things, I occasionally thought about it, but there was little actual work. That was the situation until a little after my last birthday. One day a package arrived in the post. It was sent from Lexington, Kentucky, on behalf of my brother and it included a treasure trove of audio delight ... a selection of signed discs by the genre-defying musical genius that goes by the name of Wooden Wand. One of the discs was Horus of the Horizon that contained the beautifully Byzantine, rambling, evocative track War Star Days. One line in this song ('When we failed to hijack the printing press, it wasn't for lack of nerves or skill') suddenly brought the other printing press question to my mind. Since before Christmas, I'd been trying to teach myself about Tableau, a suite of 'interactive data visualization products focused on business intelligence'. At the time, this was purely driven from the perspective of my other life in IT - I'd not really thought about applying the tools to archaeological or historical questions. In a moment - before the song had even finished - I had formulated a plan to apply one to the other and see the results. The first issue was to get the baseline data - a list of cities and years of establishment. Dittmar, rather unhelpfully, does not supply this in an easy list (dude! ... what were you thinking? ), but I have been able to get quite a volume of data from the Wikipedia article ‘Global spread of the printing press’. After that it was a case of making the data 'presentable' and getting geolocations for each point. I'm not going to detail all that here, but for anyone wanting to know more about the process, I make an attempt to clarify my process below. I will say that I was so taken with the results and the relative ease by which they could be plotted and displayed, I abandoned my initial plan just to tackle the European evidence and went for all the global data I could get. Anway, what you see here is the result of that work - the whole runs off an MSExcel spreadsheet with 240 lines of data - one for each printing press. This contains summary details on the establishment of printing presses in 227 cities, in 68 countries, in the period from 1452 to 1892. For ease of analysis, these are further sub-divided into nine regions. The lower portion of the dashboard is a histogram - divided in 10 year bins - showing the numbers of presses established. So far, so traditional: you've got a distribution map and a bar chart! Rejoice! But this is where Tableau is different ... based on your choices, you can play around dynamically interact with the data and create personalised drill-downs. Using the check boxes on the right-hand edge, if you only want to see only the European examples ... you got it! ... or just the Middle East and North America ... done! Within that you can add and delete country data to your heart's content! You can show all of the Latin American Data, but drop off Mexico and Cuba ... if that took your fancy. The coloured scale (floating above the map) changes intensity to mirror the data being displayed ... but the histogram dynamically reacts to only show you the data directly relevant to the map search - that includes trimming off unnecessary bins on either end to improve the vizualisation. The double-ended slider is set to its extremes (1452-1892), but shows a narrow dark bar inside it, if the data you've selected is between these extremes. If you want to exclude some data based on it being too early or too late for your tastes, you can do that too ... and in all cases the histogram below changes to mirror the mapped data you've selected. It's fairly intuitive, so just go explore & dynamically interact with the data and create personalised drill-downs play around with it. Where there is any vagueness over the date I’ve gone for the earliest date. For example, the first press at Pilsen is thought to have been set up around 1476 or 1476, so I’ve simply taken the earliest date. Where there is no date listed, I’ve not included it. For example, the entry for Poland notes that ‘In the 15th and 16th centuries printing presses were also established in Poznań, Lwów, Brześć Litewski and Vilnius’, but does not contain more precise dates. Unfortunately, these presses have had to be omitted from the vizualisation. Similarly, as the only dating given for the press at Trondheim in Norway is ‘mid-16th century’ it has been (sadly) excluded. A Portuguese press in Mozambique was established 'As early as 16th century'. Given the lack of precision, this too has had to be omitted. Going the other way, I’ve had to make a couple of educated guesses when it comes to location. For example, there is a record of a press in Ireland in 1551 that was being operated by one Humphrey Powell. Rightly or wrongly, I’ve gone ahead and assumed that in such cases it’s much more likely to be in the capital city, rather than some rural backwater … but I could be wrong! In the case of Madagascar, there is no city listed and even though the country has only been governed from Antananarivo since 1992, I’ve decided to go with that as it has proven impossible to decide where the press was most likely to have been in 1825. For largely the same reasons, I’ve gone with Port Louis as the capital of Mauritius. Again, there is no city associated with the establishment of a press in Australia in 1795, but since the Wiki page detailing the events in the country in that year only really mentions New South Wales, I reckon that ascribing it to Sydney is a safe(ish) bet. I’ve made some changes to locational data in that I’ve – again, rightly or wrongly – assigned the various towns and cities to their modern countries, rather than retaining their historic context. In the first instance, I’ve taken the first table on the Wiki page (Germany, Austria and German printers in Central Europe) and separated it out into the modern countries. Specifically, Breslau (modern Wrocław) is now assigned to Poland and Trento to Italy, despite both presses being established by Germans. By the same token, Strassburg (modern Strasbourg) is now listed amongst the French examples, rather than as a German one. Bohemia no longer exists as a state, so I’ve simply reassigned all the presses to the modern equivalent, the Czech Republic. In the same way, New Julfa and Tehran are both listed in their modern country of Iran, rather than the older Persia. The Jesuit Missions of Paraguay founded a press in 1700. The Missions existed at two locations: La Santísima Trinidad de Paraná and Jesús de Tavarangue. As I’m unsure which site had the physical press (or if both sites were similarly fitted out), I’ve elected to map both for the sake of completeness. A date of 1494 is given for the establishment of a press in São Tomé and Príncipe by Valentim Fernandes, but the claim is considered to be dubious as the map in question appears to have been printed in Lisbon. For this reason, São Tomé and Príncipe has been omitted from the dataset. The Wiki article has a dedicated section on The Ottoman Empire. In keeping with the principles outlined above, I’ve broken this down into its modern constituent states. Thus, both Istanbul and Constantinople are in modern Turkey that, for the sake of argument, I’ve consigned to Europe. Similarly, the press founded around 1519-1523 at the Church of Saint George in Sopotnica, Sanjak of Herzegovina, in the Ottoman Empire is today a village in Novo Goražde, Republic of Srpska, in Bosnia and Herzegovina and is European. The cities of Bursa and Smyrna (modern İzmir) are also in Turkey, but are on the Asian side of the Bosphorus and are included in the Middle East region. The presses established at the St. Antonius Monastery, Qozhaya in 1584 and 1610, along with the one established in 1734 at the Monastery of St. John, Khenchara (both in Lebanon) are all assigned to the Middle East. The data for the presses at Qozhaya and Khenchara is duplicated in the Wiki article table for the Middle East, but not replicated in my data set, with the exception of picking up additional data for the Tooltip. Although not mentioned in a separate table row, I’ve expanded on the comment for the 1883 press established in Seoul, Korea and included entries for presses in 1885, 1888, and 1891, along with a further press at the treaty port of Pusan (now Busan), Korea, in 1881. With regards to the geocoding of the cities, Tableau requires Longitude and Latitude to be supplied as a decimal, rather than in the traditional format of Degrees, Minutes, and Seconds. 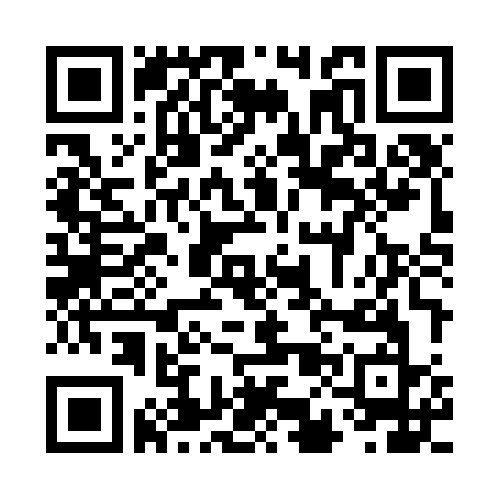 To get this information, I’ve simply entered the city name into a geocoding batch converter (here). I’ve then performed simple error checking to ensure that the right dots turn up inside the right country boundaries. While I can be relatively sure that each one is in the right place, there is still a margin for error. I’ve simply lifted the text from the various tables, giving (where known) the names of the printers and the associated comments. This can be accessed as a ‘tooltip’ by hovering over any particular point on the map. Part of the title is taken from the name of the 1998 compilation album by The Flaming Lips: A Collection of Songs Representing an Enthusiasm for Recording ... By Amateurs … but, of course, you knew that. Go buy Wooden Wand's album Blood Oaths of the New Blues ... if you like it, then go to his website & buy all you can of his music! He's simply brilliant! If you encounter any issues with the Viz, please try accessing it directly from my Tableau page: here.